Update #24: Less than 30 Hours to go! Life and Death, and Audio CD Soundtrack! By the time this update is posted, we'll have only about 30 hours or so before the end of our Project Eternity Kickstarter campaign. You've helped us make amazing progress over the weekend, easily surpassing the $3.0 Million Stronghold stretch goal -- and it looks like we may, in fact, Dream the Impossible Dream of Big City #2 at $3.5 Million. For the last final hours of the Kickstarter, we have a limited run add-on of the Project Eternity Soundtrack in a physical audio CD format for $20. You need to be at a physical tier ($65, $100, $140, $250+) to add-on the audio CD soundtrack. Tonight, don't forget to tune in and watch some Obsidian dungeon-delvers tackle a one-shot D&D 3.5E Forgotten Realms adventure in a live stream of BLOOD IN THE BRINE (there will be weresharks). Check out the live stream on USTREAM starting at 5PM PST. A recording of the play session will be made and released later for those that miss it. For today's update, I was supposed to do a lore update, but I decided that I wanted to talk about a specific subject and how lore and mechanics tie into that subject. Today's subjects are LIFE AND DEATH. Project Eternity is a fantasy RPG inspired by several A/D&D-based settings in which death is, for those with means, a temporary setback (for the Nameless One, it's even less problematic). The priests of the Forgotten Realms run around with boatloads of cure x wounds spells, the ability to banish disease, and even the power to bring the dead back to life. In Project Eternity, prospects are not so bright. And when death comes, some try to stay, some choose to go, but most people believe that once they make the trip to the other side, there is only one way back: to begin a new life. Project Eternity's world is one with limited medicine and medical understanding. Unlike many fantasy settings, there is very little access to curative magic. Remedies for health problems often have only a palliative or placebo effect at best, owing their continued use more to folk beliefs and tradition than any basis in scientific methodology. Though soul-based magic has helped the great exploring cultures from suffering massive pandemics and has helped some individuals overcome illness over the long-term, there is no quick magical "cure" for disease or illness. Most people go through life and death in the ordinary way -- unless they put themselves in harm's way, that is. In Project Eternity's combat, players need to be concerned with two elements of a character's vitality: Stamina and Health. The majority of damage a character takes is subtracted from his or her Stamina. Stamina represents how much general abuse a character can take before falling unconscious. Characters lose it quickly and regain it relatively rapidly, even without assistance. Soul-based abilities are able to help replenish or regenerate Stamina and are often used on the battlefield to turn the tide of combat. If a character hits 0 Stamina, he or she is knocked out. Intervention from another character can bring an unconscious character back into a fight. For players, the Health of their party members is a tether that makes them consider how far they are willing to venture from a safe resting spot. Though Health is typically lost at a lower rate, when the PC or a companion hits 0 Health, he or she is maimed (in standard play) or killed (in Expert mode or as an option in standard play). Magic may help mitigate damage to Health and slow the tide, but once characters have died (in Expert mode), there is no known magic that can bring them back. The world belongs to mortals. As time has progressed, mortals have lifted themselves out of ignorance and into ages of increased self-awareness, harnessing the power of their own souls to amazing effect. So... why worship the gods, anyway? For many mortals, worship is a matter of respect and tradition. They consider their gods (or, in some cases, all gods) to be their creators. They follow the guidelines of religion because history tells them that the gods have punished individuals -- and entire nations -- for ancient episodes of religious disrespect and dismissal. For others, religious worship is a matter of karmic self-interest. Often, people believe that if an individual's soul arrives in the realm of a pleased god, the god will place that soul into the body of someone who will have a good life. To such believers, choosing to not worship or is to risk spiritual confusion and aimlessness in the afterlife. They speculate that the faithless are entered into a "lottery of souls" from which many will wind up no better -- or much worse -- than they did in their last life. Some of the same faiths also believe that religious apostasy or lax observance is a cause of soul splintering upon death, which many consider to be an even worse fate. People worship many gods, but usually the ones who are most associated with their way of life. Farmers may worship gods of light, growth, or storms. Warriors worship gods of battle and fortune. Though some faiths are exclusionary, most people will say a prayer to any god when the circumstances are right -- farmers praying to a god of battle when their lands are invaded, warriors praying to a god of growth when they're starving in the wilderness. Sometimes the same god -- or gods -- may have a different identity in a different part of the world. The most notable is one of the most widely honored, if not warmly embraced. Called Berath in Aedyran and Cirono in Vailian, it is the god of cycles, of doors, and of life and death itself. People commonly place or carve the figure of Berath in doorways, windows, and other "portals" from one place to another, figurative or literal. In Eír Glanfath's ruins, explorers have discovered two common figures, Caoth i Bhád and Bád i Caothaí (Life in Death and Death in Life, respectively), semi-skeletal female and male figures who occupy positions opposite each other in doorways -- like a twinned display of the split aspects of Berath/Cirono. Despite the assumed natural cycle of things, there are individuals in the world of Project Eternity who either want to know more about that cycle or who choose to alter that cycle. Broadly speaking, "necromancy" refers to any attempt to do either, whether that involves speaking with the soul of a dead mortal, attempting to tap into the unconscious past lives of a living soul, or to bind soul energy or a complete soul inside of a dead body. These acts are viewed with differing levels of criticism depending on the culture. Many folk share the interest of necromancers and would like to understand more about the eternal cycle, but are also afraid of what they might learn. Some extremists are opposed to any and all necromancy, and tales say that a quiet and powerful cult that has worked for centuries to discredit, trap, and even murder necromancers for their efforts. To the people who oppose necromancy with such violent passion, mortal understanding should have limits, and they fear the consequences for the world should those limits be unraveled. FORUMS: Discuss Sagani, Life and Death, and the rest of Update #24 in the forums. FACEBOOK: Like Obsidian on Facebook! 40,000 Likes for another dungeon level! Since you guys were only $13,000 away from 4 million, will you enhance the whole game as if you hit that strech goal? I'm disappointed there was never a stretch goal for playable crates. swkotorfan: There are export laws on certain types of processors. I say just keep the extra money to use extra time or resources on polish and pacing. May I ask what is this Obsidian-AMD loot bag and why is it exclusive to US? Wishing i had more money to throw at you, it's looking epic. will there be a coop like in neverwinternights or baldursgate ? I'm not sure $4.0 million is feasible, but if PayPal hits $200k then maybe the project hits $3.8 or $3.9 total. A new stretch goal might be nice, but at the same time if extra money just goes to more staff and more content in general I'm happy. proud like a god, i will wander the streets of that second big, big city, knowing how i helped creating it. oh joy! About the soundtrack - is Justin going to be the sole composer? How many of the people writing your lore are atheists? They posted that already on twitter and are currently discussing possible new stretch goals (they should hurry though). Can priests follow any customization branches to become a necromancer? Or maybe Cipher abilities could lend themselves to... soul necromancy? IDK, I just want necromancers to be more than "bad guys you should hate! Because of "morals!" All this talk... Dearest Obsidian, why don't you make an official IRC channel? That would ensure some community bonding. -50k to reach the biggest goal here, and 100k already collected from PayPal: do we have a 2nd big city??? 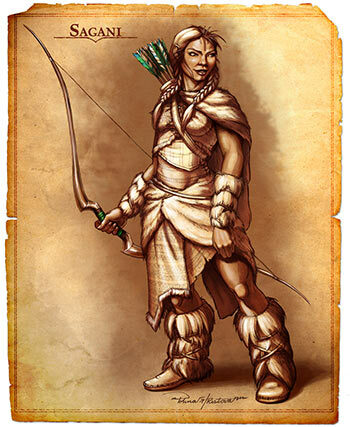 I think the best thing would be to introduce lots of diversity into the game with races never seen before.... and creatures that we never fought. N even if you guys are making isometric game, i would like to suggest make something close to camera view like of dota 2. Cause having a camera angle a little more close makes you more drawn to the gameplay and its environment. Last but not the least it will be great if we can achieve better graphics than dota 2 with more interactive world like trees swinging in breeze, coming to full blossom in spring. And if you are travelling for a long quest you actually have to cut trees down and make camps to rest. and stuffs like that to increase your vigor. Wish you guys could cogitate on this. It was just a humble suggestion. I am so thrilled by the fact that we're getting the Stronghold, the one big thing I really wanted. The second big city is just icing on the cake. I hope we get there, and I eagerly await the day the game is finished and playable! So happy it looks like there's going to be a 2nd big city :D My final wish would be for the $140 or $250 tier to have a physical strategy guide then i'll upgrade to that tier ! No worries from my side anymore about non-human and non-elven companions! Feargus confirmed to me that she is indeed a dwarf :). Can't imagine how I missed that haha. Looking at her now, she does seem quite stocky. Hopefully the final revealed companions will also be of non-elven and non-human races. Great stuff Obsidian, I am greatly intrigued to learn more about Sagani now! People keep clamoring for more stretch goals but honestly I'd rather they use anything over the $3.5 to just bring on more team members and make sure they have the time to make the game the best they can. Lets not open up the scale too far, and just focus on the love and polish a good game needs. ....dammit. You bastiches know my weakness! More seriously, it might be a gamble that it will be a soundtrack I'd listen to outside the game, but it isn't a BIG gamble. Obsidian (and/or the people that make up Obsidian) have been responsible for games that had such soundtracks, before. I'll pony up another $20. Here's aiming for that second big city! @Ian Perley I expect the CE box, manual, packaging etc to be vastly superior to the Standard Edition. That's the whole point of a Collector's Edition. Nice insight on lore here. I was initiated with the German D&D equivalent "Das Schwarze Auge", where death also is fatal and there are little to no opportunities to ever bring the dead back. However, from a gameplay point of view, I guess it should be possible for high-level characters to be saved from (almost certain) death - at a high cost, of course. It might be wise to have characters gain a very limited number of "cheat the reaper cards" during their careers, maybe only when they reach notable achievements. That way, players would have the means to save their massive time investment in a beloved character, and still not lose much of the immersion and tension that being able to die brings to the game. Maybe you are planning something like that for Standard Mode anyway, but I feel that this should also be at least an option for experts. @T.J They post the paypal totals via twitter every so often. Last I saw, paypal had broken $100k. So $3.5mil is within the realm of possibility. Does anyone know what the PayPal total is at? This looks like it will hit $3.4 million. If there is a 100k on PayPal as well, then we'll hit the $3.5 stretch goal. @ Atte Karvinen Someone correct me if I'm wrong, but as far as I can tell the only thing extra included in the CE box is the cloth map. You could stretch to say the mousepad is bundled in with that as well I suppose, but other then those two items there's nothing else to distinguish the two boxed sets. Mind you I'm just going by what's on the front page. It kinda feels like the audio CD should be included in the CE... Every CE I buy usually comes with a soundtrack. Especially if they fall within the RPG-category. I don't know. Just not 'feeling it' with this particular add-on. I'm liking the sounds of this. I always love a fantasy religion that feels really lived-in and natural. That's what I love about the Malazan Book of the Fallen series, and I'm getting a similar tone from this. Audio CD I am coming! @ Mark Bauermeister - Yes, just add-on an addition$20 dollars. There are no tiers with the Physical Soundtrack, it's add-on only. I just put more money to this project to help reach that. I still sometimes play Baldurs Gate 2, because it is best RPG ever and I hope this will be even better! Will the FLAC and MP3 versions of the soundtrack include full track tagging, including pictures of the cover art? I don't know of this has already been answered, but does anyone have any more information on the Limited Edition CD? Is it just a physical edition of the digital soundtrack or is it something more? Greetings from a brazilian RPG player! $3,5 Million, GO, GO, GO!!! Sure to surpass Doublefine's Kickstarter effort at this rate, amazing!!! Is the difference between "normal" BOX and CE BOX just the box itself? As soundtrack cd, playing cards etc. are addons that made me wondering about it. Will they (or the bonuses already included) fit inside the CE box?